Presented at ASCE’s 2009 annual conference in Kansas City, MO, industry leaders discuss the challenges involved in addressing sustainability, infrastructure, and workforce development, and what most keeps them awake at night. James A. Rispoli, P.E., F.ASCE, Chair of the ASCE Industry Leaders Council and Executive Advisor at Booz Allen Hamilton moderates the panel of experts from industry, government, and academia. 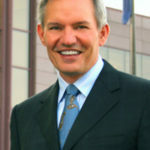 Len C. Rodman, P.E., M.ASCE, Chairman, President and CEO, Black & Veatch Corporation. Due to the forum’s length, this special podcast is divided into three parts for ease in downloading.